We have been seeing huge growth in the Malayalam movie Industry & the fan base has drastically improved in the last couple of years. Comparing to the last few years there is a constant growth in the number of movies releasing every month. Due to a huge fan base, even the Bollywood movie industry has started dubbing a lot of Malayalam movies. Since then there is a huge grown in this industry. As we see a huge list of movies coming every month, here we are with the list of Upcoming New Malayalam Movies coming out in the theater. A bunch of movies gets released in Malayalam every month and here we have the list of upcoming Malayalam movies releasing. Talking about Malayalam upcoming movies, we have a list of all the movies that are going to release in the month of February. The movie listed below are the upcoming Mollywood movies releasing this February. Talking about Malayalam upcoming movies, we have a list of all the movies that are going to release in the month of January. The movie listed below are the upcoming Mollywood movies releasing this January. Talking about Malayalam upcoming movies, we have a list of all the movies that are going to release in the month of December. The movie listed below are the upcoming Mollywood movies releasing this December. Talking about Malayalam Movies in November we have already seen Around 18 Malayalam movies released in theaters. Here the below list contains all the movie that got released in November 2018. Oru Kuprasidha Payyan trailer was recently out & it is a Malayalam Thriller movie that involves an around a murder and a lot of suspense around the entire legal system. In the trailer, we see how lawyers are fighting a case against murder happening in the city & how Tovino fighting with the villains. There is no clear synopsis given related to this movie, which clearly indicates that they want to keep the movie’s suspense till the end. 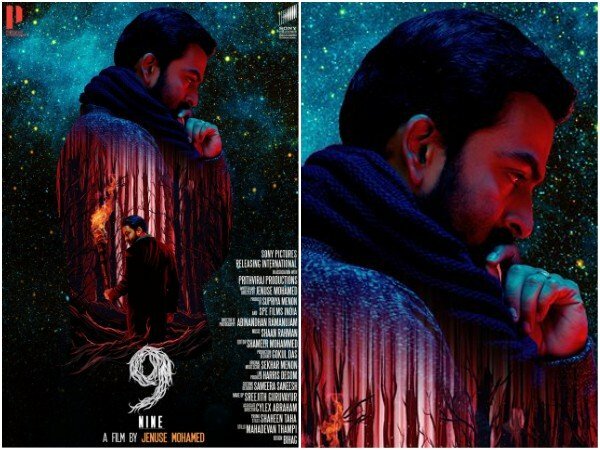 Prithviraj’s NINE seems to be one of the best movies in 2019 as it has the perfect combination of Suspense and thriller. This movie is about a man who is traveling to search for some answer. The poster of this movie was released recently and it clearly indicates that the movie is all about a boy searching for someone. The movie was supposed to release his year in 2018, but according to a recent tweet by Prithviraj Sukumaran, the movie has been postponed for Feb 2019. Odiyan is Malayalam’s 3D movie releasing in the month of December & is a thriller movie. This movie is based on the Odiyan mythology where we see how a human transforms into semi-anime and kills people in the village. Later we’ll see some investigator to visit the village to check the cause behind the incident. We are seeing Mohanlal playing a double role in the movie, one of a young strong villager and another of an Old man who is aware of this incident. Detail about this movie is yet to be out, but overall this looks an interesting movie to wait for. Ladoo is a 2018 Malayalam-language romantic comedy movie and directed Arungeorge K David under the production of S Vinod Kumar. Gayathri Ashok is debuting as a lead role playing the role of a chocolate boy. This movie is a proper college boy love story, where we the recent college romantic scenes. The trailer is full of comedy scenes & teaches different conditions in love. This looks more like a fun thriller where see Gayathri Ashok & his college friends getting in trouble every time they try to search for new love.